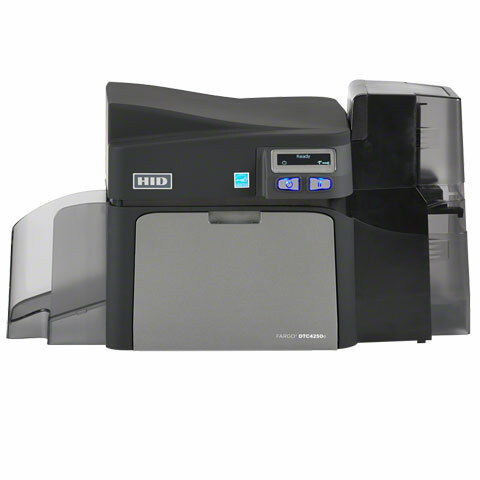 DTC4250e, Single-sided Printer, Base Model, with USB and Ethernet* with Internal Print Server, 100 Card Input Hopper, Three Year Printer Warranty. This part is also known as 052000. DTC4250e, Single-sided Printer with ISO Magnetic Stripe Encoding, Base Model, with USB and Ethernet* with Internal Print Server, 100 Card Input Hopper, Three Year Printer Warranty. This part is also known as 052010. 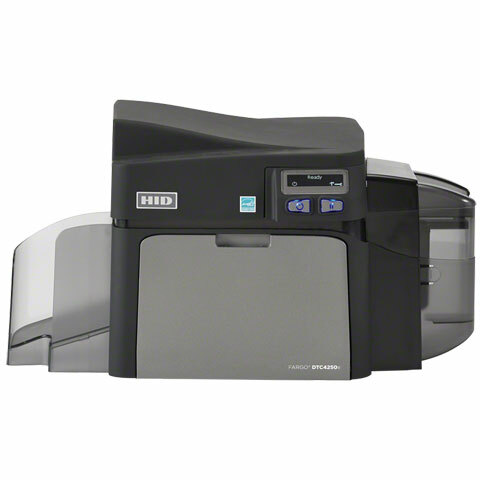 DTC4250e, Double-sided Printer with ISO Magnetic Stripe Encoding, Base Model, with USB and Ethernet* with Internal Print Server, Same-Side Input/Output Card Hopper, Three Year Printer Warranty. This part is also known as 052310. DTC4250e, Double-sided Printer, Base Model, with USB and Ethernet* with Internal Print Server, Same-Side Input/Output Card Hopper, Three Year Printer Warranty. This part is also known as 052300. 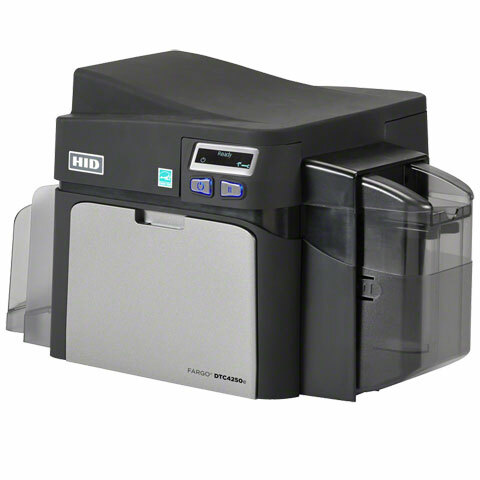 DTC4250e, Single-sided Printer, Base Model, with USB and Ethernet* with Internal Print Server, Same-Side Input/Output Card Hopper, Three Year Printer Warranty. This part is also known as 052200. DTC4250e, Double-sided Printer, Base Model, with USB and Ethernet* with Internal Print Server, 100 Card Input Hopper, Three Year Printer Warranty. This part is also known as 052100. Service Contract - 2 year, On-Call Express Extension for printers with Lamination Module. This part is also known as 086193. Service Contract - 2 year, On-Call Express Extension for printers without Lamination Module. This part is also known as 086191. Wi-Fi Accessory (compatible with Ethernet Enabled printers): Wi-Fi Module, Power supply, US/European Power cords, Mounting Clip, Short Ethernet Cables (6 inch and 12 inch), Installation Guide. This part is also known as 047729. Double-side Printing Module for DTC4250e and DTC4500e. This part is also known as 047435. ICLASS, MIFARE/DESFire, and Contact Smart Card Encoder (Omnikey Cardman 5121) Factory Upgrade, for DTC4250e and DTC4500e. This part is also known as 047701. HID Prox Card Encoder (Omnikey Cardman 5125), for DTC4250e and DTC4500e. This part is also known as 047703. HID Prox, iCLASS, and MIFARE/DESFire Card Encoder (Omnikey Cardman 5121 and 5125), for DTC4250e and DTC4500e. This part is also known as 047704. Ribbons, Full Color (YMCKOK) EZ Cartridge with Cleaning Roller, 200 images. The ribbon is used to print in a variety of colors: yellow (Y), magenta (M), cyan (C), and black (K). The remaining overlay (O) provides an extra layer of protection for the card. The second (K) allows for printing in black on the back of the card. This ribbon is used to print text and full color images on one side and black on the back side of the card. Compatible with DTC400, DTC4000, DTC4250e. This part is also known as 045110. Ribbon, White EZ Cartridge with Cleaning Roller, 1000 images per roll. The ribbon is used to print in one monochrome color: White. This ribbon is used to print text and one-color images one or both sides of the card. Compatible with DTC400, DTC1000, DTC4000, C50, DTC1000Me, DTC1250e, and DTC4250e. This part is also known as 045106. Ribbon, EZ Premium Black (K) Cartridge with Cleaning Roller 1000 images. Compatible with DTC400, DTC1000, DTC4000, C50, DTC1000Me, DTC 1250e, and DTC4250e. This part is also known as 045101. Ribbon, Standard Black (K) EZ Cartridge with Cleaning Roller, 1000 images per roll. The ribbon is used to print in one monochrome color: black. This ribbon is used to print text and one-color images one or both sides of the card. Compatible with DTC400, DTC1000, DTC4000, C50, DTC1000Me, DTC1250e, and DTC4250e. This part is also known as 045102. Ribbon, Full Color (YMCFKO) EZ Cartridge with Cleaning Roller, 200 images. The ribbon is used to print in a variety of colors: yellow (Y), magenta (M), and cyan (C). The ribbon contains a fluorescing panel (F) which allows text or images to be visible only through the use of ultraviolet (UV) light. The (K) allows for black printing. The remaining overlay (O) provides an extra layer of protection for the card. This ribbon is used to print text and full color images on one or both sides of the card. For best imaging quality, recommended for use on UltraCard I (PVC) and UltraCard Premium (composite) cards only. Compatible with DTC400, DTC4000, DTC4250e. This part is also known as 045109.